2014 TOPPS ARCHIVES - STARS, ROOKIE RC'S, HOF - WHO DO YOU NEED!!! 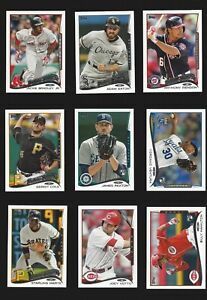 2014 TOPPS MINI - SERIES 1 & 2 ( ROOKIE RC'S, STARS ) - WHO DO YOU NEED!!! Details about 2014 TOPPS MINI - SERIES 1 & 2 ( ROOKIE RC'S, STARS ) - WHO DO YOU NEED!! !